Do you suffer from neck and shoulder pain? You are not alone. The number of people who suffer from varying forms of this condition is growing – and it ranges from temporary to chronic conditions that affect your quality of life. Neck and shoulder pain can prevent you from working as you normally would, and may even take time away from physical activities with your friends and family. It’s no joke, and the reason why incidences of pain are worsening is because of today’s modern lifestyle: sitting around, and using the computer and other electronic devices. Many employers require constant use of either a computer or other electronic devices, as well as use of the phone and computer simultaneously. Not all employers offer headsets either, which can leave your body off balance from tilting your head repeatedly to one side or the other. In addition, these types of jobs require sitting down all day, and without the spine being moved around and stretched regularly, all the excess tension ends up in the muscles you are using the most: the neck and shoulders. Unfortunately, these muscles don’t really have a form of natural pressure release (while stretching or walking) like some of your other muscles do, and the condition worsens. Perhaps your neck and should pain isn’t from work at all. With the number of computer games and communication devices being so active in people’s everyday lives, there tends to be the same type of movement (or lack thereof) which puts the neck, shoulders, and overall posture into precarious positions. Texting, gaming, typing on a keyboard, and browsing the internet on your computer or tablet are all things that most of us do on a regular basis, and it mimics the same repetitive actions that those who work a desk job do. Regardless of how you ended up with the pain, getting rid of it is important. Still, if you’re ever suffered from severe, or even mild pain or soreness in these areas, you know that just getting a massage isn’t going to cut it. Likewise, you may have visited a chiropractor, only to see little to no results. So, what can stop the pain? 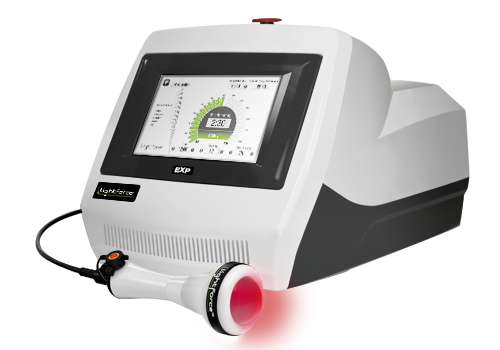 Laser pain treatment. 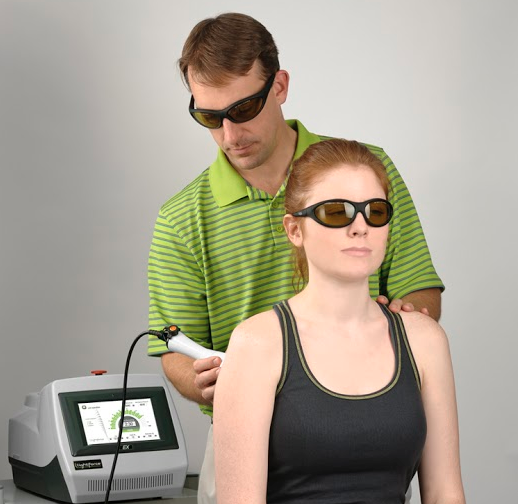 Laser pain treatments are administered by a clinician, medical doctor, or even a chiropractor who is trained to administer them. 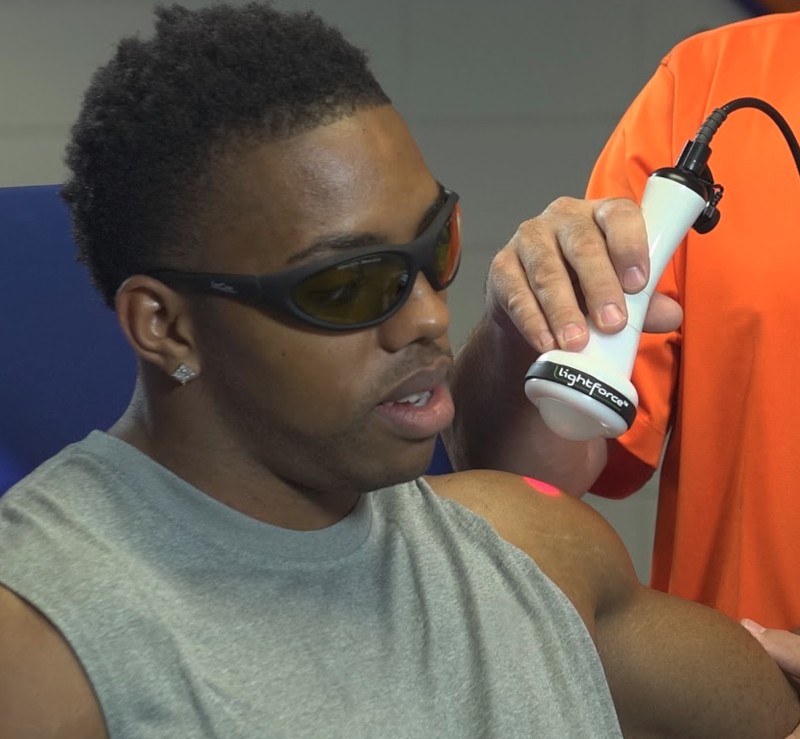 Also known as low level laser therapy – or cold laser therapy – this method of therapy has been proven to ease pain and help rehabilitate injuries. 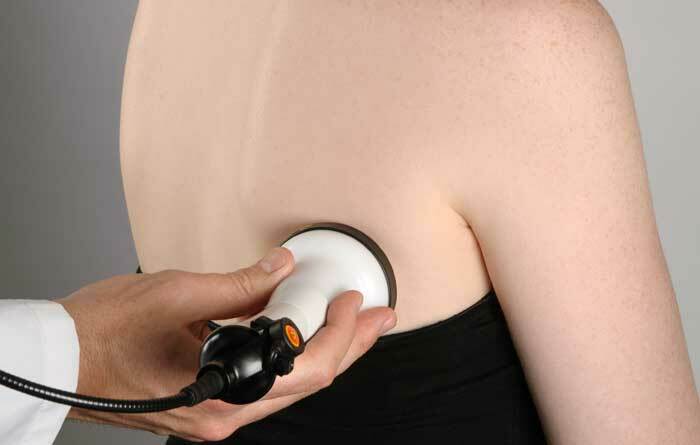 As the light current penetrates deep into the layers of the skin, it stimulates the body into a state of self-repair, ultimately increasing mobility and achieving pain relief. Treatments range in their time frames, depending on the areas being treated. You should expect it to take at least 10 minutes per session, however, if not longer. In addition, the number of treatments you need will vary from person to person. Some may need daily treatments for acute conditions, while others may only need to come a couple times a week. 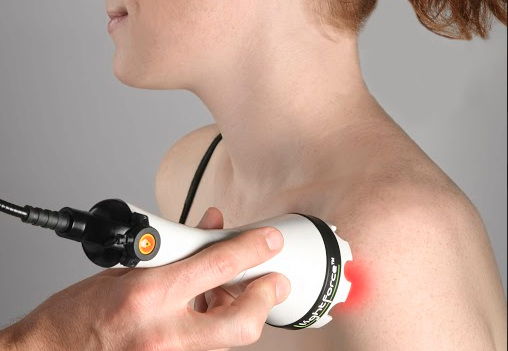 If you are suffering from neck and shoulder pain, laser pain treatments can give you the lasting results you really need. Don’t suffer any longer than you have to. 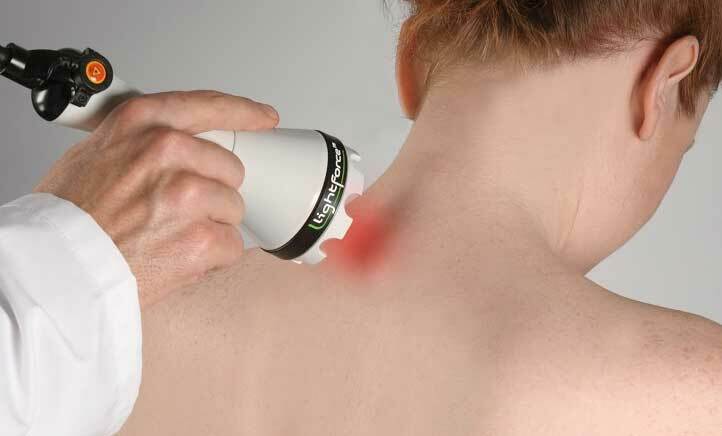 Laser pain treatment works.